In recent decades, interdisciplinary technical study of works of art, pooling the expertise of art historians, conservators, and conservation scientists, has provided valuable new insights into artists’ materials and working methods. Such collaborative research has productively addressed a range of far reaching art historical issues, including questions of authorship, chronology, creative process, and artistic intention. 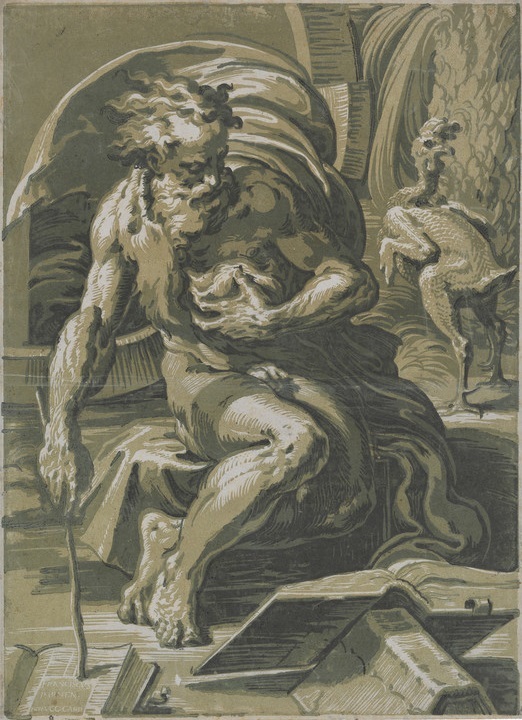 This talk will consider some contributions of technical examination and scientific analysis to our understanding of Renaissance works of art on paper, focusing in particular on research on the chiaroscuro woodcut, a pioneering color printmaking technique. Image: Ugo da Carpi, after Parmigianino, "Diogenes" (detail), c. 1527–30. Chiaroscuro woodcut from 4 blocks in tan, light green, medium green, and gray. Los Angeles County Museum of Art.